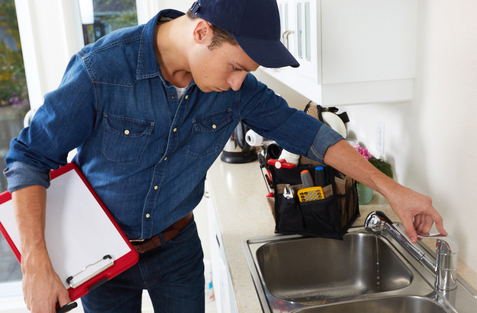 A clog is something that is inevitable when you own a home. There could be several materials that make their way down through your sink drains, toilets, and tubs or showers that can start to build over time. What happens here is that there could be a slow drain or a clog that can lead to a backup. Even if you try to use tools like a plunger or a snake, this might only give you a temporary fix. Even if you try a commercial drain cleaner, it can cause damage to your pipes over time or cause an imbalance in your septic system. This is where hydrojetting in Clearview is your best answer and we can help at Trident Plumbing and Drain Cleaning. This is a process that uses high-pressure water that is administered to the pipes via a special nozzle. The machine works to pressurize the water to provide a powerful stream that is able to blast through debris in your drains and pipes. The water safely breaks the obstruction and then all of the debris is washed away, which makes it an excellent choice for removing hair, scale, grease, and any other debris that can wash down the drains. Did you know that the clogging you keep experiencing could be due to root infiltration? Whenever there is a slight crack in your pipes, roots will make their way in, which can then lead to a major obstruction. Hydrojetting is strong enough to power through the roots so that you can open up the piping to see what can be done to repair the portion that is cracked. Our staff will be able to do a full assessment and inspection to determine the next steps to ensure you have properly functioning pipes. When you need hydrojetting in Clearview, you have to work with the best. Call Trident Plumbing and Drain Cleaning at (425) 321-6043 for information.